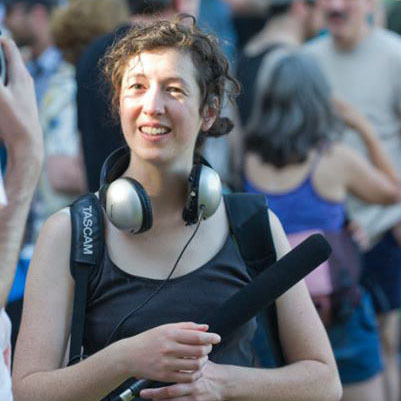 Deena Prichep is a freelance radio and print journalist based in Portland, Oregon. Her stories on topics ranging from urban agriculture to gefilte fish have appeared on NPR's Morning Edition, Weekend Edition, and All Things Considered, The World, The Splendid Table, Bon Appetit, Marketplace, Vegetarian Times, Salon.com and The Oregonian. Taco al pastor, the classic Mexican street food that’s popular in the US, has roots in a surprising place: the Middle East. Thanks to immigrants from the former Ottoman Empire, the classic street dish of shawarma morphed into the beloved taco of today. There's a vibrant tradition of Jewish vegetarian cooking that goes back decades, if not longer. But even if it drops brisket and roast chicken, it's not about raw kale and juice cleanses. Think more butter and sour cream. You've probably never heard of switchel, and for good reason — it was a popular drink during early America's agricultural days, kind of like cider or lemonade. But the concoction is making a comeback on supermarket shelves and in trendy bars. In the years after World War II, it became illegal to make Passover matzah in Soviet synagogues. So local Jews instead started baking matzah at home, in secret.